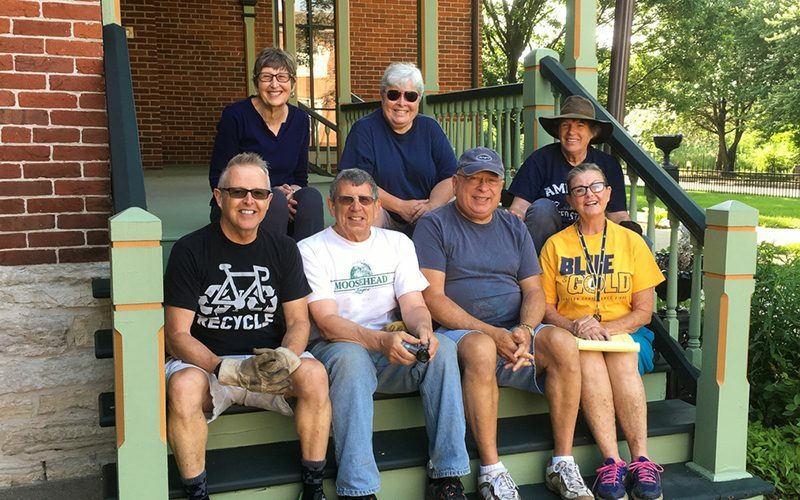 By sharing your time and talent as a volunteer, you can aid Indiana Landmarks’ mission to revitalize communities, reconnect people to heritage, and save meaningful places. Volunteers lead tours, greet visitors, help stage events, conduct research, write, take photographs, assist in the office, and work on special projects. Volunteer tour guides help tell the story of Monument Circle and the architecture that surrounds it in Indianapolis. Volunteer tour guides lead walking and motor coach tours that show visitors the capital city’s downtown and historic neighborhoods and tell how landmarks contribute to creating a vibrant, livable place. 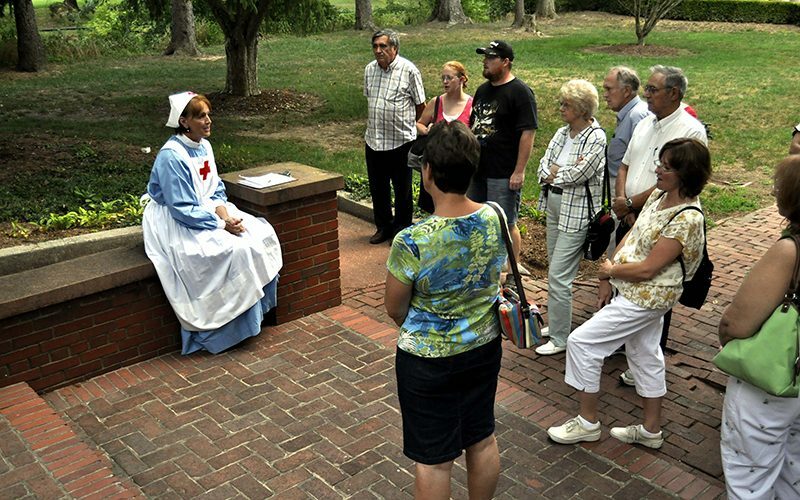 Indiana Landmarks’ docents come from all walks of life, many with little or no previous education in historic preservation, architecture, or neighborhood revitalization. We supply education about the city’s history and historic places, architectural styles, Indiana Landmarks and the preservation movement. 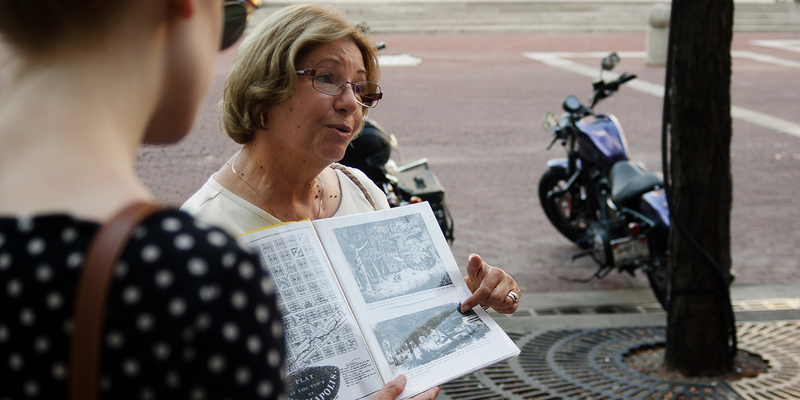 We’ll train you to become a tour guide, and pair you with experienced docents for one-on-one mentoring. Indiana Landmarks’ campus at 12th and Central in Indianapolis includes the 1865 Morris-Butler House and Indiana Landmarks Center, a repurposed nineteenth-century church complex with two theaters, an art gallery, and our state headquarters. When we stage lectures, parties, and special events on the campus and at landmarks throughout the region, volunteers provide a welcoming presence, giving directions and answering questions while serving as ushers, greeters, ticket takers, photographers, and in other roles. We’re very grateful for volunteers who assist in the office with research, mailings, filing, writing, scanning, and a host of other tasks that help us save vintage places and grow our network of members and supporters. 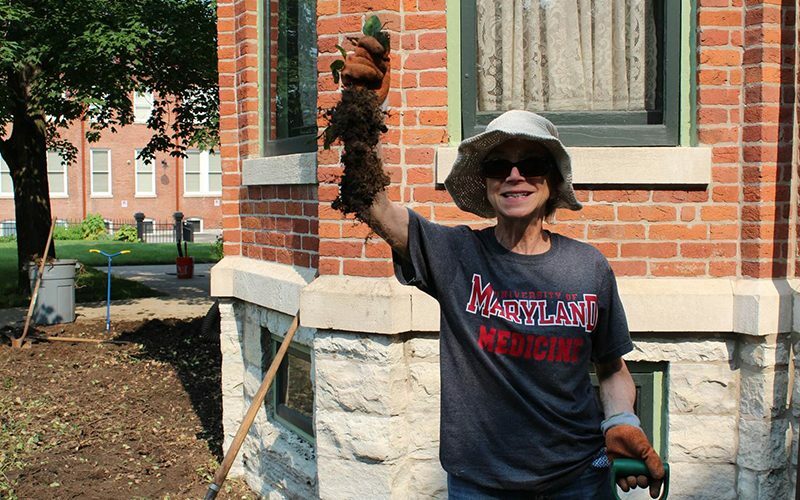 Volunteers who don’t mind getting dirty help maintain the landscape and gardens at Morris-Butler House at 12th Street and Park Avenue, directly east of Indiana Landmarks Center. 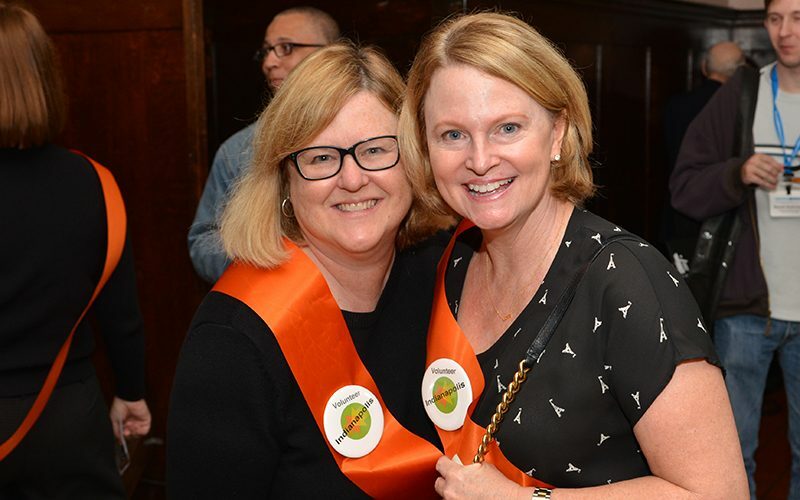 For more information on Indianapolis volunteer opportunities, contact our volunteer coordinator at 800-450-4534 or 317-639-4534 or email volunteer@indianalandmarks.org. 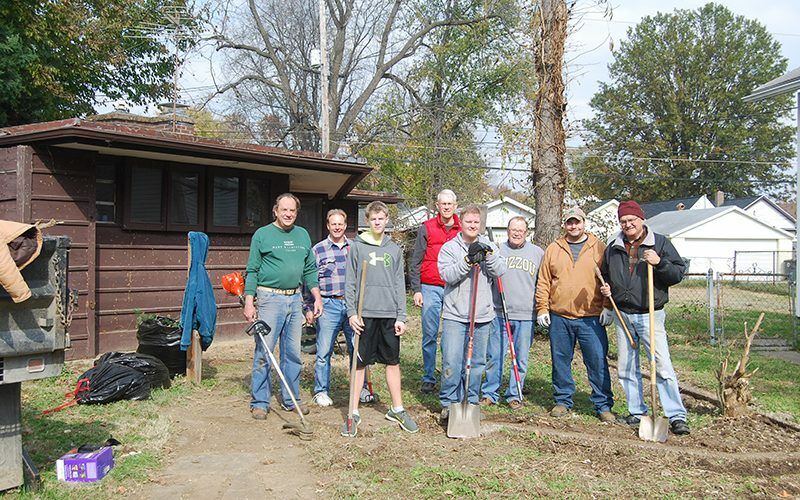 Volunteers helped clean up the Peters-Margedant House in Evansville. At our campus in Indianapolis's Old Northside, volunteers provide a welcoming presence at events, giving directions and answering questions while serving as ushers, greeters, ticket takers, photographers, and in other roles. Treasure Hunt, our annual antiques market at our Indianapolis campus, offers volunteers a variety of opportunities to serve. 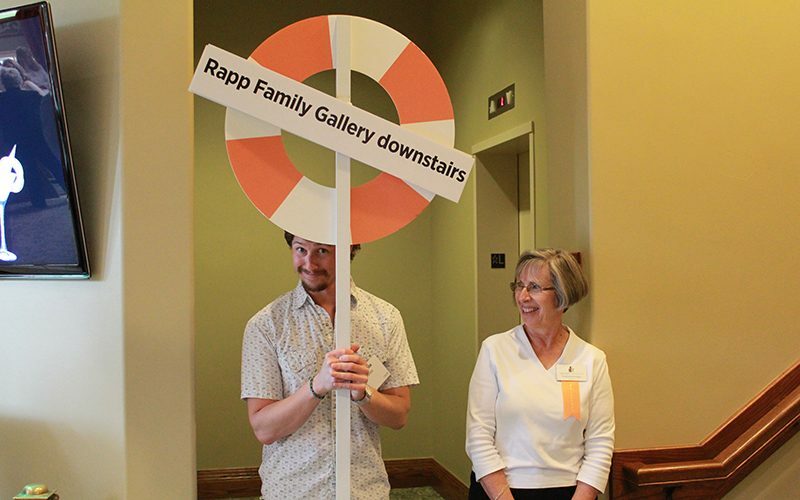 More than 300 volunteers helped us stage the National Preservation Conference in Indianapolis in 2013 (Photo: Rob Banayote). On special Twilight Tours, volunteers portray the rich, famous, and notorious guests that visited West Baden Springs Hotel in its heyday (Photo: Lee Lewellen). 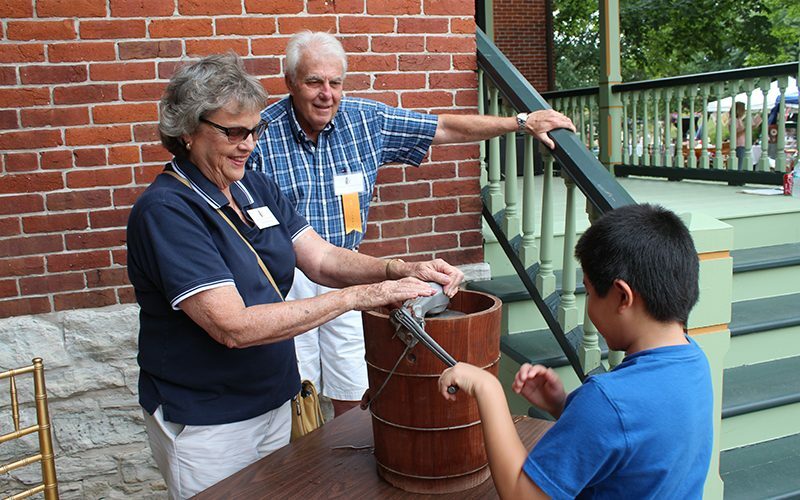 Our historic sites in Aurora and Cambridge City welcome volunteer help with variety of tasks, from leading tours, setting up for events, and facilitating rentals to planting flowers, pulling weeds, and polishing silver. Contact our staff at Veraestau and Huddleston Farmhouse for details about volunteer opportunities at each site. Many of our regional offices engage volunteers to help with office work and grounds maintenance, as well. If you’d like to learn how you can help, contact the regional office nearest you. You’ll receive training and experience and skills you can use, and you’ll meet people from across the U.S. and the world. You’ll also enjoy the satisfaction of knowing you’re making a difference by promoting historic preservation and enriching the experience of visitors to French Lick and West Baden Springs, landmarks that deserve celebration and wider renown. We accept volunteers at any time, and conduct a training program each spring. Contact Sandi Woodward, Program Coordinator, 812-936-5870 or toll-free 866-571-8687 or westbaden@indianalandmarks.org.